In the past, we've talked about ProtonMail, a free and open source email service that lets you send and receive encrypted emails easily. Now the service is adding an extra layer of security by opening up an option for users to access their inbox through the Tor network. Here's what you have to know. 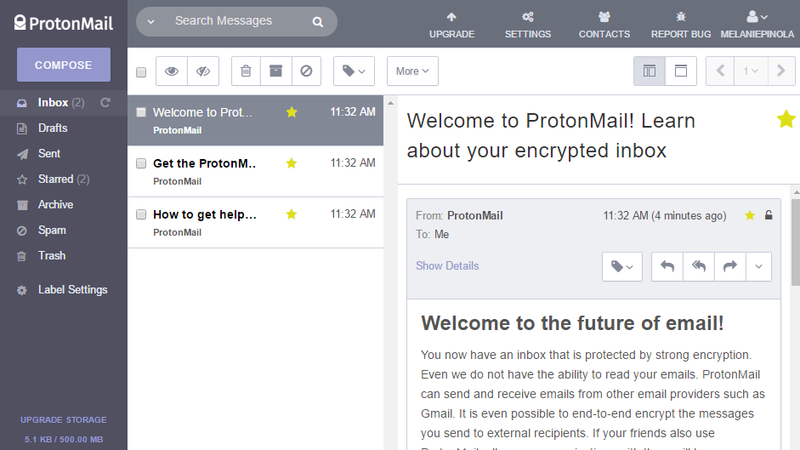 ProtonMail is a Swiss-based email service developed by CERN and MIT scientists. You can use the service through a web browser and it's also available through an Android and iOS app. ProtonMail servers are located in Switzerland so all user data is protected by strict Swiss privacy laws. According to ProtonMail: "Tor applies extra encryption layers on top of your connection, making it more difficult for an advanced attacker to perform a man-in-the-middle attack on your connection to us. Tor also makes your connections to ProtonMail anonymous as we will not be able to see the true IP address of your connection to ProtonMail." You can find out more information about the new feature over at this ProtonMail blog post. security tools like protonmail, cryptocat & purevpn are my favourite ones.